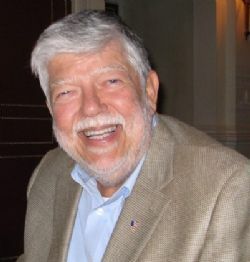 Dr. Martin Zoldessy, 79, who practiced dentistry in Arkansas for more than four decades and was also well known in the Little Rock wine and beverage industry, passed away on April 13. Dr. Zoldessy was born on November 30, 1939 in Bronx, New York, and served in the U.S. Air Force as a medic before opening his own dental practice in Little Rock. He later was Dental Director of the Arkansas Department of Correction and only recently retired. Outside of work, Dr. Zoldessy was renowned for his knowledge of food, wine and cocktails and for his ability to mix a perfect martini. More importantly, he projected a caring, gregarious nature. Patients, coworkers and anyone who shared his interests in wine, the Razorbacks, or baseball instantly became his friend. He was a devoted fan of both the New York Yankees and the Arkansas Travelers, and for the past 25 years he made annual trips to Spring Training in Florida. He and his wife Aurian enjoyed gardening together with Dr. Zoldessy's specialty being production of his favorite hot peppers. Family and friends agreed he was one of the most generous people on earth, and he was as happy with his life as anyone could be. He touched many lives and will be greatly missed. He was preceded in death by his parents, William and Ann Zoldessy, and his sister, Joan Kaufmann. He is survived by his wife, Aurian Zoldessy; his daughters Shayne Sheets (and husband, Chad), Kelly Hallmark (and husband, KB IV), and Kimberly Stewart; and grandchildren KB Hallmark V and Kaylea Sheets. He is also survived by his sisters Barbara and Julie Zoldessy, as well as several beloved nephews and nieces. In lieu of flowers, please send donations to the Pulaski County Humane Society (www.warmhearts.org) or Paws in Prison (adc.arkansas.gov/paws-in-prison).